Our original product and a favorite of horses from coast to coast! 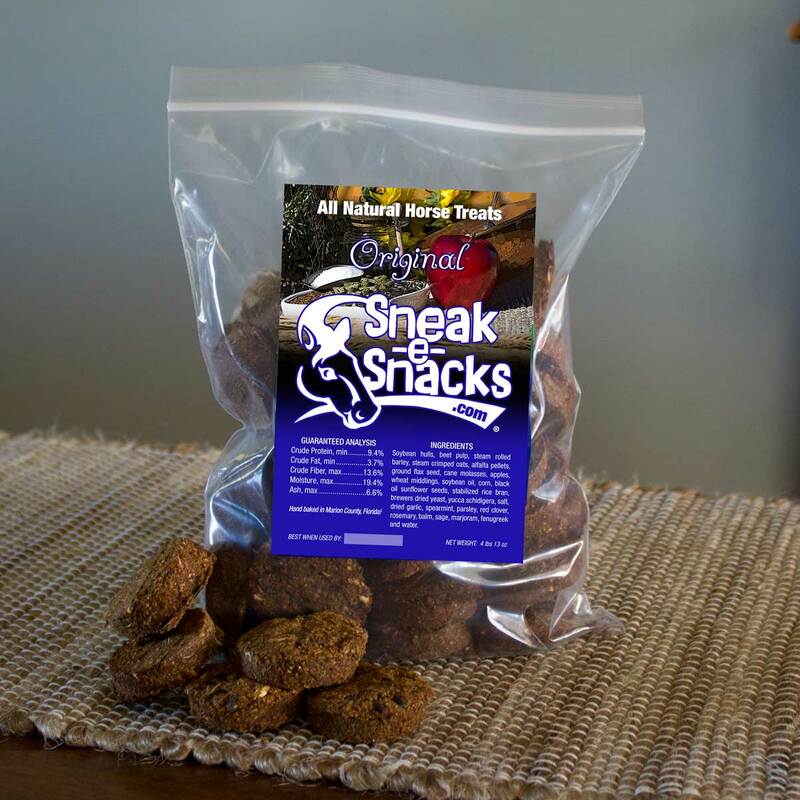 If you’re looking for a healthy snack for training or just to show your love, Sneak-e-Snacks All Natural Horse Treats can’t be beat! Our tasty horse treats feature beet pulp, steam rolled barley, steam crimped oats, alfalfa pellets, ground flax seed and black oil sunflower seeds for those wonderful Omega 3 essentials, and more! 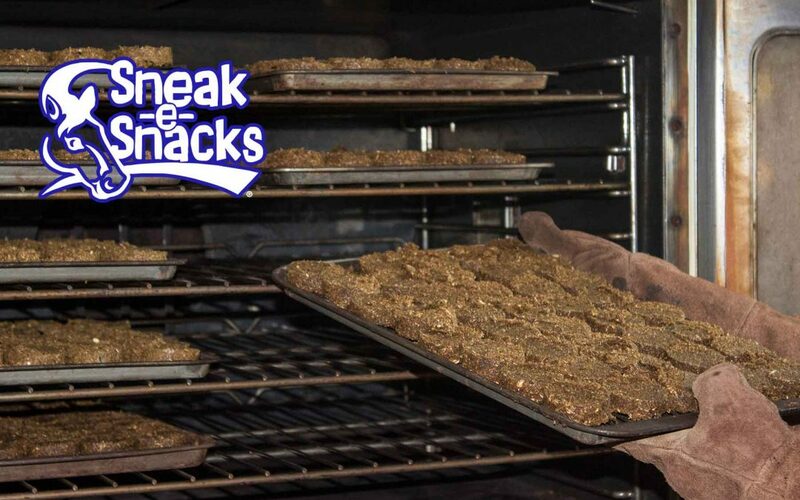 Sneak-e-Snacks® Original 100% All Natural Horse Treats are MADE IN THE USA. INGREDIENTS: Soybean hulls, beet pulp, steam rolled barley, steam crimped oats, alfalfa pellets, ground flax seed, cane molasses, apples, wheat middlings, soybean oil, corn, black oil sunflower seeds, stabilized rice bran, brewers dried yeast and our secret blend of delicious herbs. GUARANTEED ANALYSIS: Crude Protein, min. 9.4%; Crude Fat, min. 3.7%; Crude Fiber, max 13.6%; Moisture, max 19.4%; Ash, max 6.6%. All snacks are dated for freshness.